In 2006 during the recording of a new Roxy Music album, and Ferry once again finds himself returning to the Bob Dylan songbook. 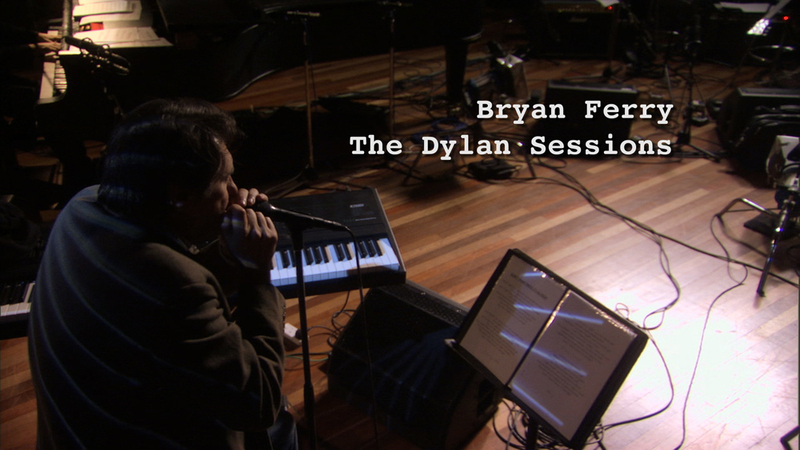 Such is Bryans enthusiasm for the songs of Dylan and how he is able to interpret them, that despite this being the first Roxy album in more than twenty years the Roxy Music album is put on hold and Ferry decides to record instead an album of Dylan songs. 1973 soon after Roxy Music had exploded onto the music scene, lead vocalist and main songwriter Bryan Ferry was given the opportunity to record a solo album. The album These Foolish Things would be made up not of Bryan Ferry songs but of songs by songwriters who had been an influence on Ferry, before he became successful in his own right. The opening track on the albums was a cover of Bob Dylan’s A Hard Rains A- Gonna Fall. On subsequent solo album Bryan would record versions of It Ain’t Me Babe, Its All Over Now Baby Blue and Don’t Think Twice It’s Alright. Of all the artists who’s songs Ferry has covered in a career spanning over 30 years it is the songs of Dylan that he has returned to more than any other.